Postanowiłam napisać ten tekst w odpowiedzi na komentarze, które pojawiły się tutaj, na blogu, pod postami komentującymi wpisy o idiomach. Część osób zastanawiała się, czy idiomy używane są na co dzień przez native speaker’ów i czy warto tracić czas na uczenie się ich. Idioms are like clothing styles – some stay in fashion for decades , others fall out of use in a season or two. Using outdated idioms in speech can sound very unnatural and be quite confusing for the listener. While I do think it is valuable to teach idioms in ESL lessons, I think it is always important to check with a native speaker first to ask if the idiom is still relevant/widely used. Moreover, I don’t think it is beneficial to memorize long lists of idioms. 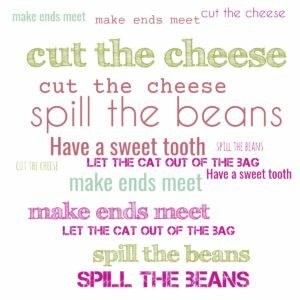 Rather, it is better to choose one or two specific idioms at most a lesson, perhaps idioms that are relevant to some vocabulary being discussed. It is key that students understand each individual word in the idiom, as well as the meaning of the idiom as a whole. Another good strategy is to have more advanced students find idioms in current news articles or text in the target language, so that they can see the idioms used naturally, rather than completely out of context. 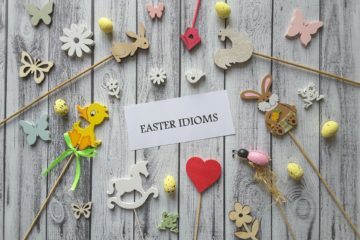 This ensures that the idioms are up to date and commonly used. Students of English know that learning idioms is an important step in achieving fluency and expressing thoughts in natural, authentic language. But this can be a daunting task. For one, English is characterized by a seemingly limitless number of idioms. How can you possibly learn them all? There’s another reason idioms can be overwhelming: Not every idiom is suitable for every audience and situation. Here’s an example from my work in marketing. (I’m a content creator for a small tech marketing agency in Stuttgart, Germany, and our customers need marketing materials exclusively in English.) For a recent digital campaign, our customer asked us to write a series of emails aimed at getting cardiologists interested and excited about a new ultrasound scanning system. As you know, there are many different ways to say “get excited about” in English. But which could be the right one for this professional audience? I could have said “go bananas for [go crazy for] this new system.” That would be grammatically correct but very inappropriate in terms of tone and register. It would sound extremely unprofessional. If I were describing the system to, say, some friends of mine, “go bananas for” would be ok – even a bit funny. I’m talking with my friends, and I don’t need to sell anything. I don’t have to be so formal. Don’t be afraid to use idioms when you speak and write in English. 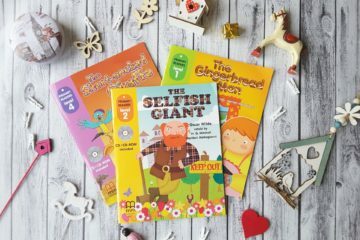 They’re a great way to connect with other speakers and readers! If you’re not sure about how to use an idiom properly, online learning forums are an excellent resource to turn to. You can also ask a native speaker of English for help. Most native speakers enjoy talking about idioms and different ways to communicate ideas. They will most likely be able to advise you on how to use a specific idiom correctly – and suggest a few more as alternatives. Firstly, idioms are something we as native speakers all know but rarely use, for example to use ‘over the moon’ would seem strange for me because it is so old fashioned and slightly cliched. However, I do think it’s important for English learners to learn as idioms come up time to time and if one is in creative company, the native speakers might come up with a new idiom or use an old one in a new way; ‘I’m over the moon with flowers in my hair!’, would mean I’m happy plus very very very happy, or free, or both. If the English learner at least knew about idioms, connecting in conversations such as this will be more natural. A czy Ty uczysz się idiomów? Zgadzam się z Tobą. Jeżeli chcemy porozumiewać się swobodnie w języku angielskim to musimy też uczyć się idiomów. “Make ends meet” – co to wlasciwie ma znaczyc? “Wiązać koniec z końcem”. Jeden z pierwszych idiomów, który poznałam :-). Super ! Bardzo przydatne ! Idiomów uczyć się na pewno warto, ale rzeczywiście, zamiast opanować całą masę idiomów warto sprawdzić najpierw, czy nie wyszły z użycia. no tak, idiomy…bez nich będziemy jakby językowo -Nie- na bieżąco, no nie da się swobodnie rozmawiać bez. Idiomy są ciężkie… Ale warto je znać, żeby dobrze zrozumieć język Ja staram się je zapamiętywać, choć czasem jest bardzo ciężko. Generalnie uwielbiam idiomy, ale przyznam, że uczenie się ich w obcym języku jest trudne… bo polega głównie na przyswajaniu pamięciowym.